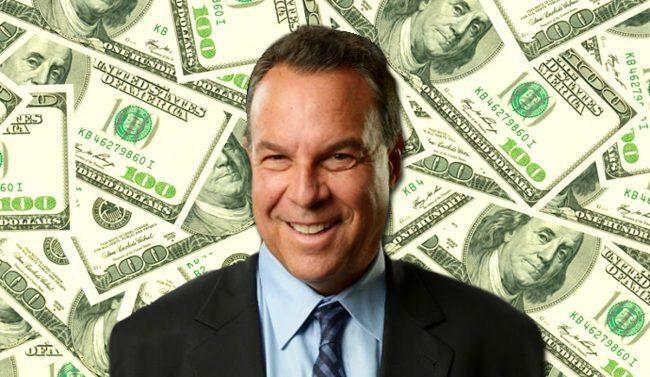 He’s late to the game, but real estate mogul Jeff Greene is prepared to spend “whatever it takes” to win the Democratic nomination for Florida governor. The Palm Beach billionaire, worth about $3.8 billion, says he could spend $100 million of his own money to fund his campaign, according to the Palm Beach Post. He officially joined the Democratic race for governor earlier this month. Greene, who in 2010 spent $23 million in an unsuccessful effort to win the Democratic primary for U.S. Senate, said that after his wealth was used against him, he’ll tell his story this time around. “I’m a Kennedy-Rockefeller billionaire that really is intent on making a difference — not a Donald Trump billionaire who basically comes up with phony universities to rip people off and doesn’t pay his workers and just is kind of the wrong kind of guy,” Greene, a neighbor of the president‘s Mar-a-Lago, told the newspaper. Trump had said throughout his campaign that he injected $100 million of his own money into his campaign for president, but campaign finance disclosures show the president spent only $66 million, according to published reports.